The words "timeshare scams in Mexico" are flooding the internet more and more everyday. Do you know who the resorts usually target? How the salespeople determine the membership you will be sold? this and more questions will be anwered in this article. Timeshare salespeople are aware that many vacationers choose to attend timeshares sales presentations for the free gifts, such as tours, cash incentives, or souvenirs, or just out of curiosity to see a different hotel property. Obviously, the salespeople do not want to incur a loss on having the potential client walk away with the free gifts without making a purchase. As such, the timeshare salespeople are very motivated by their commission structure to ensure that the client makes a timeshare purchase. The sales team is carefully trained to target the right type of vacationer to attend the timeshare presentations. For example, they normally approach people over 30 years of age, in couples, as they assume that they will have two stable incomes and be able to afford to vacation regularly or purchase a timeshare. The salespeople that work in timeshare scams companies normally try to sell the timeshare for the highest amount possible, but when they are not successful, many companies will offer a smaller vacation club package. Timeshares do not have a fixed value. The salespeople from timeshare scam companies are very skilled at gathering information about the client during the free breakfast and initial survey in order to assess the client´s financial status and ultimately, the price that they will offer the timeshare. When the client refuses, they offer deep discounts to entice the client to purchase, and often send in a closer to make the special “one day only” deal. They may promise offers of guaranteed rentals, resales, or annuities, which are some of the most common timeshare scams, to entice the clients to purchase; however, some clients are more persistent at saying no, and refusing to buy the timeshare. The salespeople offer vacations club packages as a cheaper alternative to a timeshare to the vacationers who say they cannot afford a fixed timeshare or a high value package.The vacation clubs normally work on a points system and the salesperson makes claims that the points can be used at hotels throughout the world. 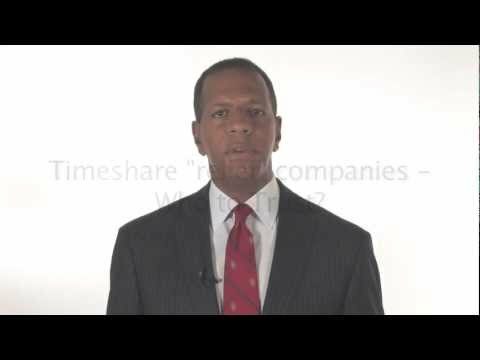 The timeshares salesperson from the timeshare scam companies state that the vacation club offers the client deep discounts on travel, such as reduced airfares, very cheap weekly hotel rates, discounted rental cars and many more excellent benefits. These packages are offered at a fraction of the price of a timeshare, often just a few thousand dollars, so the clients who were not interested in a large timeshare package, but are interested in having more affordable travel opportunities, are persuaded into buying. Unfortunately, these packages are another version of timeshare fraud as what the timeshare salesperson promises is not what is actually offered to the client once they return home and try to use the vacation club. During the sales presentation thesalesperson shows the client a detailed book of all the vacation club benefits. Normally, clients will ask for a copy so that they can review it while they are still on vacation. The salesperson will say that the book will be mailed to the client at their home address so that they do not have to carry a heavy book with them on their trip home. Often, the package of information never arrives, or in cases where the client does receive the book, it is a different version. The version of the book that the client receives offers far less hotel options, requires a higher points value per night, and does not offer the other discounts promised during the time share scam sales presentation. Read this to avoid becoming a victim of timeshare scams in Mexico or by a vacation club scams. Avoid attending timeshare presentations if you are not genuinely interested in purchasing a timeshare in Mexico. The free gifts are not worth wasting a day of your vacation, and putting yourself at risk of becoming a victim of timeshare scam. If you do attend, do not be afraid to say no to signing the timeshare contract or vacation club contract if you are not interested in becoming a timeshare owner. The timeshare salespeople prolong the presentation as long as it takes for the client to purchase. They may even make it difficult for you to leave, by delaying the taxi pick up, and using many other delay tactics. If you do not want to buy the timeshare in Mexico, walk away, and get in your own taxi. It is worth paying a few dollars to avoid a large financial loss on timeshare fraud. If you decide to purchase, ensure that you have a copy of the vacation club book before you leave the sales room. Ask to use a private computer (not the salesperson´s computer) to check their online reservation system and see what the actual points value and reservation availability is like in the real-time system. Many people become victims of timeshare fraud because the salesperson´s computer has a dummy version of the reservations system, which has false information about points and availability. Research the timeshare company or vacation club within the first few days of your purchase. Do not wait until you get home from your vacation to do your research. A simple Google search will normally give you an idea of whether a company has many timeshare complaints posted online or is a reputable organization. According to Mexican Law, you have 5 business days to cancel your timeshare contract. Some resorts will claim that clients have waived their right to cancel, but this is an illegal practice. Our staff at Mexican Timeshare Solutions can assist purchasers to ensure that they do all the proper steps to cancel their contracts and get out of their timeshare or vacation club package within the 5 day rescission period. Even if you have purchased a timeshare scam in Mexico, and it is already past your 5 day rescission period, we may be able to help. Contact us at Mexican Timeshare Solutions for your free consultation to assess your situation and advise you of how you can get out of your timeshare contract as soon as possible. Yo pago unos 340 dolares por año en concepto de expensas, mantenimiento. Ahora apareció una empresa "Travel Right" y me ofrece alquilarme la semana en 3100 dolares. Es más me quiere alquilar 10 semanas (años) por 30000 dólares. Todavía no le contesté, me puse a googlear y me encontré con esta página advirtiendo. Hay que ir con mucho cuidado. Saludos! Buen día. Pueden asesorarme para cancelar una Membresía, sin perder mi dinero?! Sres : Quiero generar mi completa desafiliacion por incumpmimento de contrato de la membresia tomada con el Hotel Mia de Isla mujeres y vuestra empresa dado que no se han respetado los derechos al consumidor y en mi caso junto a mi familia lo perjudicados que estamos frente a esto. No tenemos respuestas a nuestros mails nuestras dudas no contestan los llamados reiterados la pagina web de su empresa esta caida y me han generado una estafa por donde se mire. Es por esto y mas aun llevo 35 años seguidos viajando a Mexico ya que mi familia tiene time shearing en la cadena de los Royal y jamas un problema y en mala hora confiamos en ustedes. Debido a que nadie a contestado mis múltiples solicitudes, dejo por escrito este tema para que me sea devuelto todo el dinero y las cuotas mensuales que se generaron. Si ustedes no cumplen mi solicitud se hara un informe detallado con mis abogados en mexico el que sera expuesto a Profeco como demanda frente a nuestra estafa. Me uno a decir que yo tuve muy mala experiencia con Mayan palace en Cancun, ya que nada de lo que me prometieron a fin de cuentas fue verdad, de hecho por tal de querer llevar la fiesta en paz me pidieron pagar un "upgrade" de una membresia para poderi utilizando el servicio , ahora estoy en proceso de cancelacion , mucho cuidado con eso de los tiempos compartidos. Lo mejor que uno puede hacer es no acercarse a una presentacion de tiempo compartido , sin embargo , el gancho de muchos es que ofrecen muchas cosas gratis, no inviertan en un tiempo compartido despues se arrepentiran.